Karina Johnston has been a scientific and community leader in the Los Angeles region for 10 years, culminating in her positions with Loyola Marymount University as Senior Lecturer and Director of Programs for the Coastal Research Institute (CRI) and her position with The Bay Foundation (TBF) as Science Director. As the Science Director for TBF, Karina develops and manages federal, state, and other grants to implement the Action Plan for the Santa Monica Bay National Estuary Program, which strives to clean up waterways and create healthy habitats in the Los Angeles region. 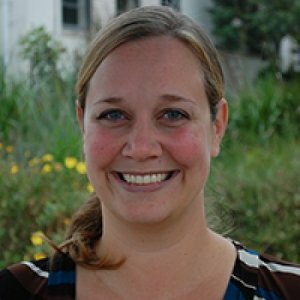 She is currently leading multiple projects to restore and monitor the Bay’s coastal habitats, with a focus on wetlands, dunes, and beaches. Karina has extensive experience developing, implementing, and directing scientific research programs including mentoring graduate and undergraduate students. She has a Master’s in Marine Ecology from James Cook University and a BS in Aquatic Biology with a minor in Geology from UCSB. Karina is also a Board Certified Environmental Scientist, with a Biology specialty (American Academy of Environmental Scientists).